Like many of the schools in this series of blog posts, our first point of call when looking to address teacher workload were the three independent review group reports on the topic. Staff forums and regular meetings provided our Senior Leaders with a strong evidence base that workload was resulting in some colleagues questioning their commitment to teaching as a career. The three independent review group reports on workload provided well-researched and practical information to help us address the issue. We made it a point to ensure that the recommendations from the reports were filtered through all levels of the school and credit card sized summaries of the recommendations were placed in all colleagues’ pigeonholes to further communicate the key messages on reducing workload. A common factor in all the reports was the need for schools to respect teachers’ time. However, finding increased planning time within the school day is extremely costly. We therefore considered how to create collaborative time for colleagues to share their practice and feel supported in professional environments. Through consultation with middle leaders, we agreed that as part of directed time, every Monday, immediately after school there would be Curriculum Area Development Time (CADT). This would not be a meeting but an opportunity for collaborative planning, marking and sharing to reduce the individual workload of each colleague. We began by sharing whole school guidance and expectations and staff development and prioritising CADT for the preparation of new schemes of work. By allowing time for shared medium-term planning, we aimed for a significant reduction in short-term planning. Bespoke CNS teacher planners also supported the directive that individual lesson plans were not expected unless individually directed and that notation form planning, centred on lesson objectives and outcomes derived from schemes of work, would suffice. To support this further, seating plans were adapted to ensure colleagues were targeting their support within lessons appropriately. This was achieved by colour coding priority groups such as Pupil Premium or L4 boys and by entering prior attainment data in order that the teacher, through knowledge of a child’s barriers to learning, could use the plan as an intervention guide during or following the lesson. This impacted positively on workload through a targeted approach to marking and feedback, and in turn, on pupil learning, by teaching being adapted to the needs of the individual and identification of next steps to ensure confidence was built, as well as progress being achieved. Colleagues later commented that CADT has been critical in increasing confidence in new specifications and being able to prepare and resource new schemes of work. Opportunities for sharing across curriculum areas were provided via our weekly Teaching and Learning Briefing and fortnightly Bulletin. It was essential to provide sharing mechanisms to further reduce teacher workload by facilitating teachers being able to use each other’s ideas and practices, as well as encouraging them to learn from colleagues’ reflections and mistakes. CADT and Teaching and Learning briefing and bulletins maximised opportunities to share good practice in how to reduce marking workloads and communicating the key message of not marking everything. Some Curriculum Leaders used CADT to undertake matrix exercises in measuring marking workload against impact on pupil progress, to determine where time should be spent deep marking against other feedback strategies. The matrix exercise is a simple method to allow teachers and teams to reflect on the time spent marking a pupil task against the impact of the marking on pupil progress. The ideal is low time spent with high impact on learning. If a task and the marking is high in time spent with low impact on learning then the task itself needs revisiting. The impact of the strategies employed has been measured through staff voice and retention analysis - both of which are very positive. Teacher retention was 95% in 2017 and in a survey conducted in March 2017, over 60% of colleagues who responded identified that CNS had helped them try to reduce their workload and 90% had been able to develop strategies that supported managing workload. Curriculum areas can have a maximum of 12 meetings a year, though few have this many and now use a Curriculum Area briefing or bulletin for their housekeeping. Colleagues are not expected to log their time and can move CADT to a different day of the week to suit team needs, though CADT must take place at school and not from home. There is now active frustration when timetable clashes prevent CADT from taking place. Planning: A continued emphasis on CADT to collaboratively plan, review and revise schemes of work; further training is planned for using shared resource areas to further reduce individual preparation of materials. There is a whole school focus on improved assessment to correspond to the demands of new grading in all key stages. To achieve this there will be ongoing training in the purpose, validity and reliability of assessment and effective use of the corresponding data. Marking: There is support for individual teams and teachers on a bespoke basis to help in specific circumstances and ensure that unnecessary marking is removed. To support all our teachers, we are looking to roll out the matrix exercise to all Curriculum Areas, to help prioritise the pupil outcomes that are most revealing of their progress and thus warrant more intensive feedback. This will also identify tasks and pieces of work that do not require extensive feedback. Teachers are our most valuable resource and are committed to improving the lives of each pupil they work with. In our drive to improve the pupils’ life chances, school leaders also need to consider the well-being, work-life balance and retention of the colleagues we work with; it is the role of school leaders to model this and support all colleagues in achieving it. You can also find more reducing teacher workload articles, written by teachers, on the DfE’s ‘Reducing Teacher Workload’ hub at www.tes.com/dfe-teacher-workload. As a practising Business and Economics teacher I felt the need to respond to this ........(I am not sure what to call it). Before entering the teaching as a mature entrant, I trained as a manager in industry. I rose to a reasonably senior level and subsequently, having completed post graduate qualifications in management and an MBA I worked for a while as a business analyst and systems designer with UK Bluechip and Global businesses. I now have 20 years experience in education and educational management in a UK and International context. I say this only to explain why I thought it worth posting here. I have a good deal of training and experience in such matters. The whole thing reads to me like consultant double speak. It tries to give an air of credibility by using a "real life case study" but it is clearly a bureaucratic monstrosity with a touch of misplaced delusions of competence thrown in. The colour coding of seating plans while giving the impression of improving efficiency would I am sure add to the drudgery of what appears to me (on the face of it with this limited evidence) to be an organisation that micromanages staff using questionable data. "The impact of the strategies employed has been measured through staff voice and retention analysis - both of which are very positive. 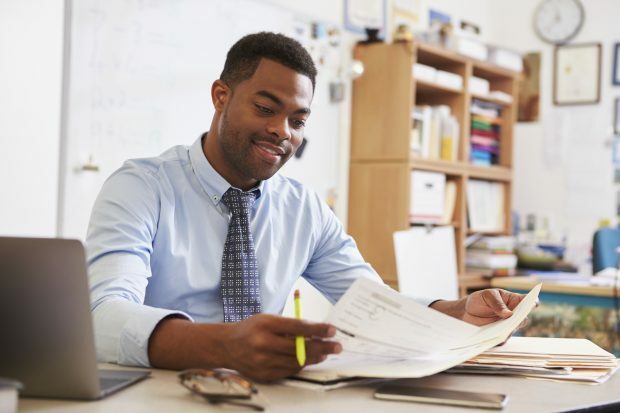 Teacher retention was 95% in 2017 and in a survey conducted in March 2017, over 60% of colleagues who responded identified that CNS had helped them try to reduce their workload and 90% had been able to develop strategies that supported managing workload." These appear to be big numbers, meant to impress but which say very little of any consequence. "Additionally, my staff have reported that ‘following the matrix exercise, the reduction in homework marking was significant, with no negative impact on pupil progress.’"
This nonsense reads like an NPQH assignment that someone has cobbled together to show that they can introduce an initiative and produce measurable outcomes, when in fact they didn't actually do any of it. Don't get me wrong, I am sure they did. I am sure they are committed to reducing elements of workload and I am sure they wish to give a positive message to improve staff retention. I am sure that to the Government it all seems eminently sensible, and when asked to participate which Head would not get involved in such nonsense. I would however humbly suggest that this sort of stuff is the very reason workload is unmanageable for many teachers. There is I am sure some good stuff in the amongst the dross, but for those who were around in the 1980s I would describe what you have here is a "swing designed by committee". If you were not about in the 1980s google it. You will get the idea.